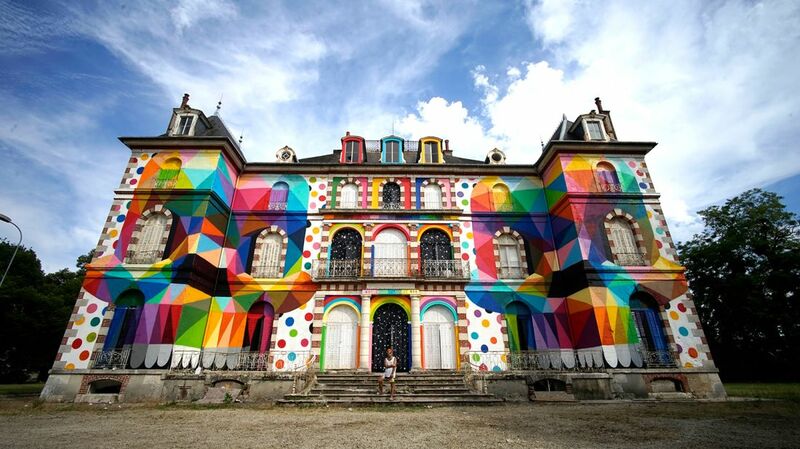 A French chateau, painted by Spanish graffiti artist Okuda San Miguel to promote French street art festival LaBel Valette Festival. Spanish street artist Okuda San Miguel—who simply goes by the name Okuda—is known for creating prismatic, geometric murals that cover abandoned historic churches, city streets, high-rises, and the sides of trucks and trains. For one of his latest projects, Okuda has transformed an abandoned 19th-century chateau in France’s Loire Valley into a pop art paradise, deMilked reports. Before Okuda gave it a facelift, the crumbling chateau—which, in later years, also served as a school—had been abandoned for 30 years. 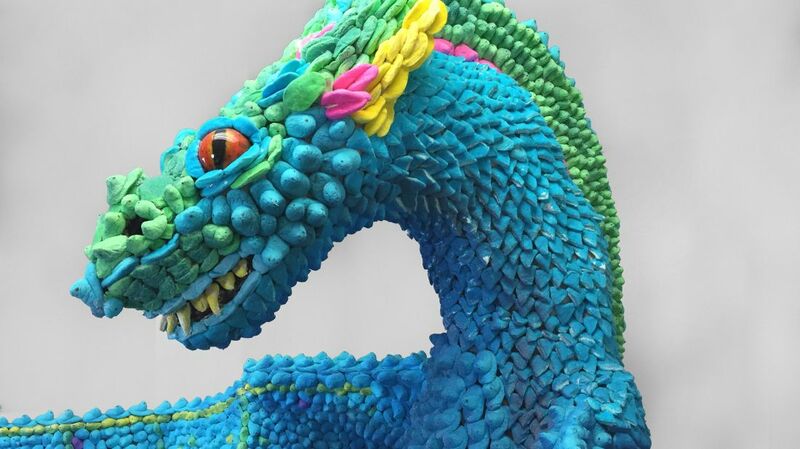 According to Konbini, its vivid makeover was officially completed on July 7, to promote LaBel Valette, a French street art festival that will take place in September. The mural’s title is Skull in the Mirror. Okuda painted two large-scale geometric skulls across the castle’s white facade, and added colorful polka dots and paint accents to the remaining blank surfaces. On September 1, according to deMilked, 100 other street artists will join Okuda in giving the 100,000-plus square foot castle a full makeover.